Losing a parent has to be the hardest and most confusing thing a child can ever go through. In addition to the desperate and painful longing for their parent, it can also be very had for the child to understand why. Why they don’t walk in the door anymore, why they don’t read them a bedtime story or why they don’t want to hug them anymore. Mum who was always around is now nowhere to be found and they don’t know if is their fault. Out of desperation, Jerry calls 911. When he gets through an elderly police officer answers the call. 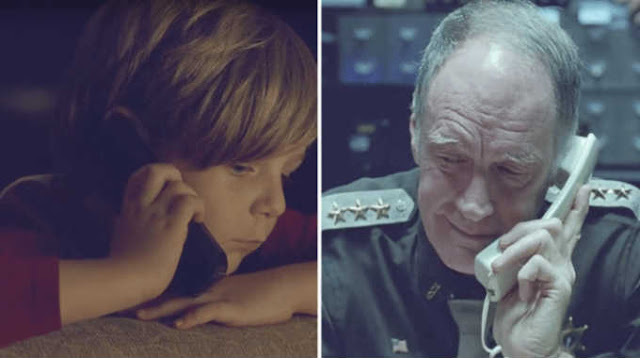 To start with the Elderly officer suspects it’s just another prank call but only moments later he realises that actually, this is a genuine call from a heartbroken little boy. He lets little Jerry talk and he just listens realising that although jerry doesn’t know it his mother has likely recently passed. You can feel the sadness the officer must have felt hearing this. The officer decides he’d like to help and offers some kind words and advice for the little boy. He even comes up with a brilliant idea that will connect their lives in a way neither could ever have imaged.